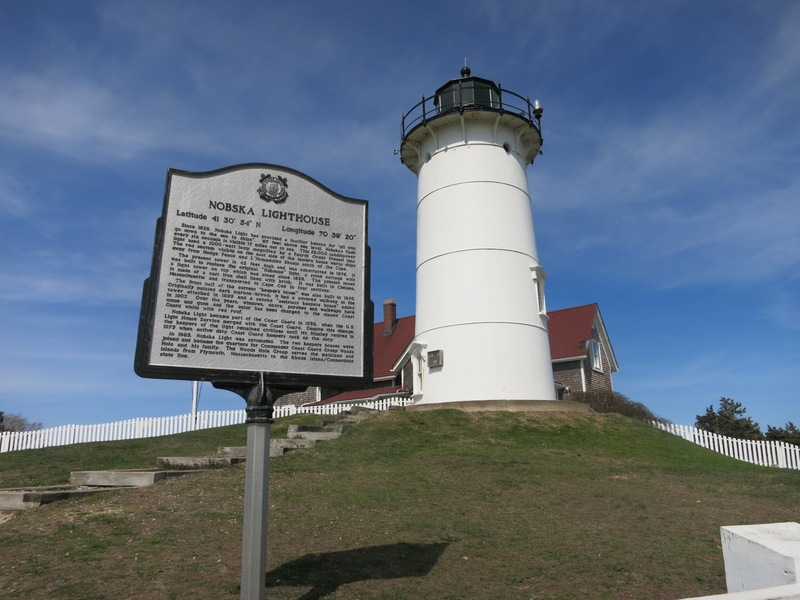 WHY GO: Smithsonian Magazine named Woods Hole MA one of the top ten Best Small Towns to Visit in 2014. A world center for Marine Biomedical and Environmental Science, Woods Hole MA draws island hoppers and brainy scientists to its almost-too-perfect-to-be-true fishing village environs. Research offices, labs and ships sprawl throughout this tiny section of Falmouth – the southwestern corner of Cape Cod – and the best part about it is that some are open to the public. Though it takes some untangling (review sites don’t help), the Getaway Mavens guide you to the wonders of the private Marine Biology Lab (MBL) and Woods Hole Oceanographic Institution (WHOI), as well as the two government facilities, the National Marine Fisheries Service (NOAA) and U.S. Geological Survey. 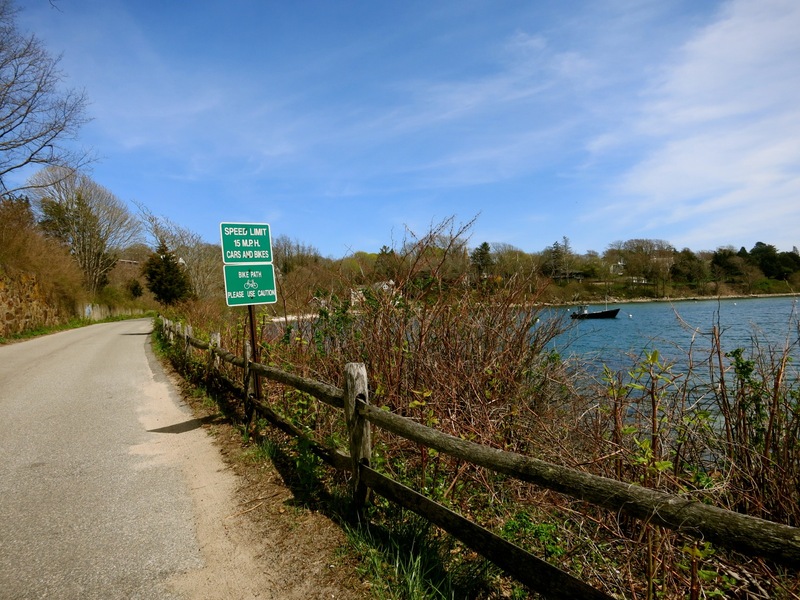 Woods Hole is also the jumping off point for Martha’s Vineyard – the Steamship Authority loads cars and island-bound visitors from here. Great restaurants and inns round out a budget-friendly educational escape to this ersatz MIT By the Sea. VISIT: Woods Hole Oceanographic Institution Ocean Science Exhibit Center. This former New England Church is packed with fascinating interactive displays. Start with the 7-minute video about the deep ocean floor, luminous creatures, hydrothermal vents – “the most extreme environment on our planet” at 400 degrees Celsius (752 Fahrenheit) – poisonous fluids and a diversity of new life forms to rival the tropical rainforest. No small thing, these discoveries in the late 1970’s, upended the long held assumption that all life forms on earth were created and sustained by the sun’s energy. Colorful, vibrant chemical-based sea life swarms 8,000 feet beneath the ocean surface and it seems incredible that in this age of technology we are only beginning to understand it. Humans got their first look at these ocean-floor vents via the research submersible, Alvin, and here, you can sit in a crosscut prototype (photo-op!). Stay for other hands-on opportunities: program the Magic Planet Digital Video Globe to display wind patterns and storms all over the world, move a to-scale Titanic model around an aerial view photograph of Woods Hole, and learn about the fiberglass cast of a Right Whale tale mounted high up on the main floor wall. Every so often, it is removed and used in training runs when marine biologists tie it to a rope extended off the back of a Zodiac inflatable boat and practice lassoing and tagging these ocean mammals. Open Mid-April – Oct. Mon-Fri. 11-4, Nov and Dec Tues-Fri. 11-4. Free. VISIT: Woods Hole Science Aquarium, NMFS, NOAA. Marine veterinarians care for injured sea-life here – and you’ll see everything from seals to horseshoe crabs in various stages of rehabilitation, as well as schools of salmon, fish tanks and vats full of local crawly and swimmy things used in the study of marine ecosystem health, aquiculture, habitat conservation and biodiversity. 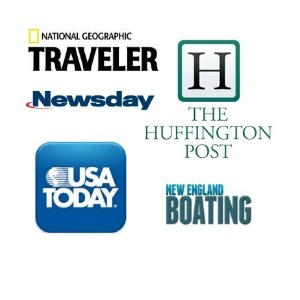 Open year round Tues-Sat 11-4, seal feedings 11am, 4pm. Free. VISIT: Marine Biology Lab Visitors Center (MBL). “Discovery never ends,” according to a pullout quote on the wall of this small but engaging science center. And so, you’re invited to don a white lab coat and spend time investigating dozens of shells, marine life skeletons and even computer chips though a high-powered microscope. Touch a replica of a giant squid near its eyes and watch “nerves” fire – a light show that imitates the way the squid vamooses from predators. Not scientifically inclined? Never mind – you can’t help but learn a bit of marine biology here. Open May-Oct, various times. July and Aug Mon-Sat 10-4:30. Free. VISIT: Nobska Lighthouse. At the end of Church St. (first right out of town), the Nobska was built in 1878 and automated in 1985! It casts its shadow on water so aquamarine blue-green, you could mistake it for the Caribbean, or even Tahiti. BIKE: Shining Sea Bike Path. 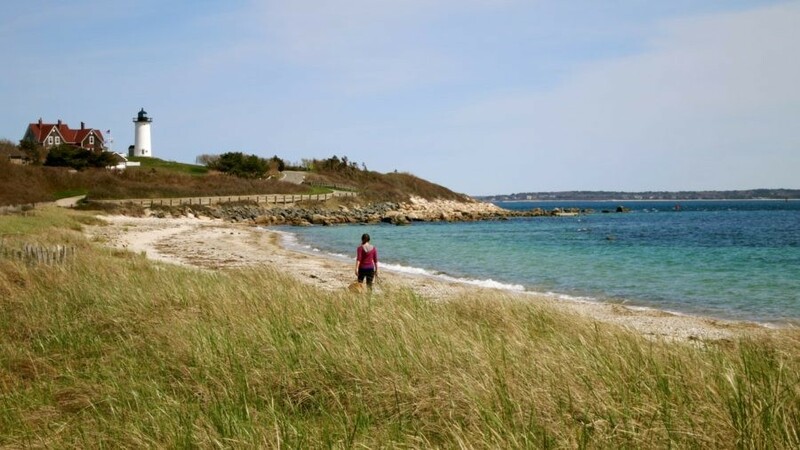 From the ferry parking lot, hop onto a paved path and ride 11 miles up the coastline to North Falmouth – absolutely gorgeous with bountiful views of both Vineyard Sound and Buzzards Bay. DAYTRIP: Take Steamship Authority’s Martha’s Vineyard Ferry and spend the day on the island that celebs and presidents love – only 30 minutes away. $16 roundtrip, add $8 per bike, $137 for car. EAT: Quicks Hole Tavern. Not to be confused with the more casual Quicks Hole taco place next door, the Tavern, opened in Spring 2014, has already distinguished itself from other Woods Hole restaurants. Downstairs bar clad in white, upstairs dining with full on views of the Martha’s Vineyard ferry and harbor, with tweaked New England fare like Quinoa Succotash ($19) and Bone-In Sirloin with Lobster ($38), to requisite-for-splashy-new-restaurant-Truffle-Fries ($4), Quicks Hole will be a tough RSVP to get come summer. EAT: Quicks Hole. 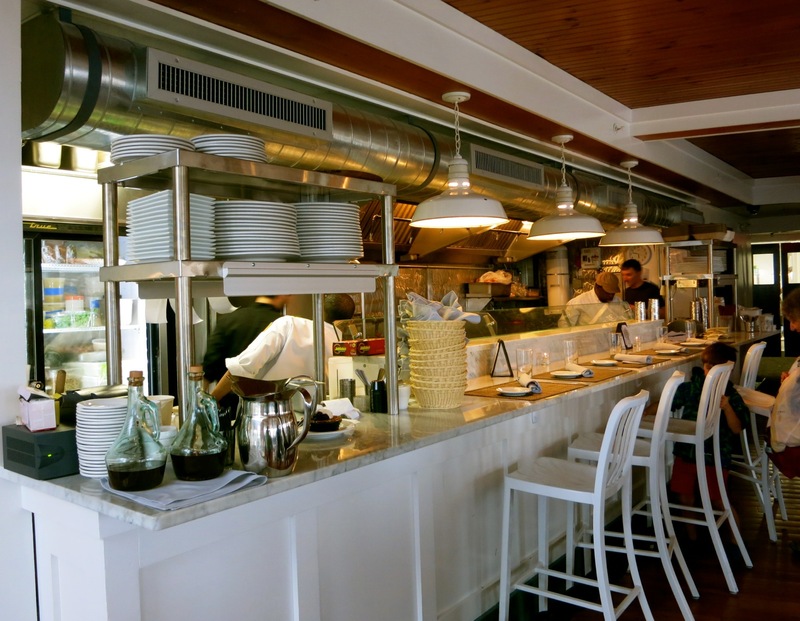 Cape-Cod meets Cali Cuisine; Quicks Hole serves “Lobster Tacos” among other farm-and-sea-to-table dishes in a very casual, cheeseburger-in-paradise type space. If you don’t mind standing or taking your Lobster ($9.95) or Fish Tacos ($6.95) to the picnic tables out back, join the lines for these and other summer-casual fresh and quick foodstuffs. EAT: Pie in the Sky Bakery. A favorite haunt for those completing (or just getting ready to start on) the Shining Sea Bike Path, Pie In the Sky roasts its own coffee and turns out great specialty sandwiches like the toothsome Turkey Reuben ($7.95). STAY: Woods Hole Inn. Los Angeles residents and television writers Beth Colt and P.K. Simonds (producer of Ghost Whisperers) purchased a dilapidated hotel/boarding house, originally built in 1878, and turned it into a nautical chic, “Vintage Restored” inn. With walls of turquoise and sea foam pastels, white wainscoting, distressed wood floors, and knickknacks cleverly displayed, the Inn is adorably funky. Across the street from Woods Hole Oceanographic Institute (WHOI), it’s just a fishing rod cast away from the Martha’s Vineyard Ferry. Fourteen rooms are done up white with walls and pillows in sea greens and blues for punch. White furniture is topped with tchothkes you’d pick up in Home Goods or local gift shops – and in the small white extremely clean baths you’ll find hand made green starfish soaps. To make you feel even more at home, a basket of complementary snacks including lobster-lollipops, chocolate covered pretzels and Cape Cod Potato chips awaits. Ask for the Penzance or Nonamessett Room ($435 in season) each with its own private deck, claw foot tub and a direct view of the Ferry and the serene harbor beyond – worth it for the spectacular sunset over the harbor islands alone. Complementary breakfast is “upscale” gourmet; lots of fruit, baked goods, quiches and tarts. And here’s a bit of trivia: The Red Chair Travels began here, when Beth Colt painted an old wooden chair red and made it the star of her Woods Hole photographs. The Red Chair is now sponsored by Bedandbreakfast.com as it makes its way, one inn after another, across the USA. Rooms and suites range from $155-$435 (depending on day and season) and include free gourmet breakfast and even more importantly, free parking. 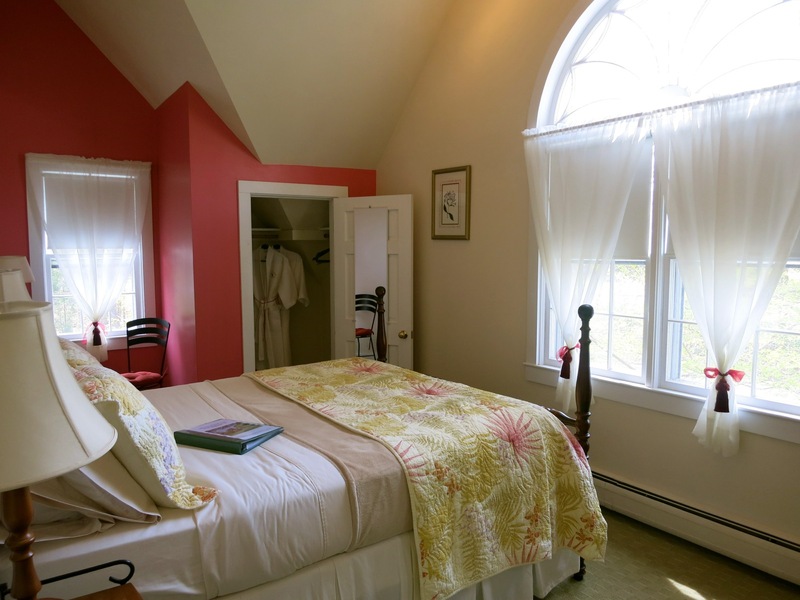 STAY: Woods Hole Passage B&B. Partners in business and life, Julie Brienza and Martha Bridgers opened this funky, beachy B&B on the main road two miles from Falmouth and two miles from Woods Hole just four years ago, and it was an immediate hit. Kid friendly and all about service and value, each colorful, whimsical room – decked out with colorful quilts – is different. Former pastry chef, Martha, creates mouth-watering gourmet breakfasts which you can enjoy on a patio overlooking the gorgeous, huge back yard. Five rooms $149-$215 include gourmet breakfast, afternoon tea and cookies, and use of bikes.